We started with the soup of the day which was avocado cream with cucumber. 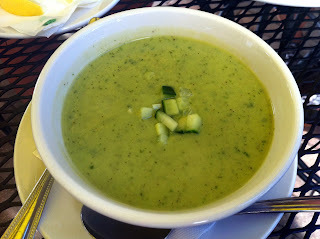 It's yogurt based and quite refreshing, reminding me of a green version of gazpacho. 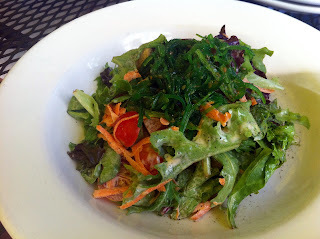 One of our favorites was the simple Sun salad ($8) of organic mixed greens, cucumber, grape tomatoes, shaved carrot, seaweed salad, garlic croutons and ginger vinaigrette. It's fresh, light, and quite tasty even though it wouldn't be hard to replicate at home. 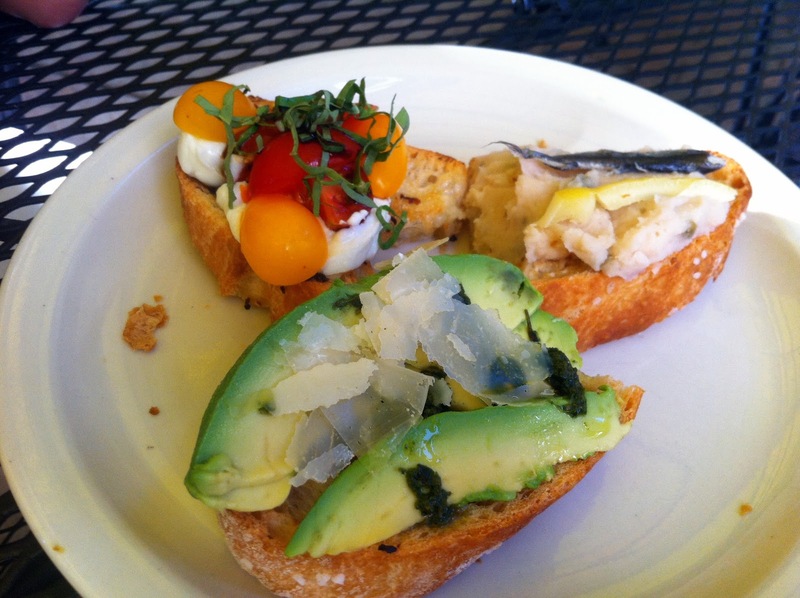 The "bruschetta" section offers many choices other than the traditional cheese and tomato. You can mix and match or go for one. We went with three different kinds - the avocado/pesto, hummus/anchovy and burratta/tomoato. Since there were three of us eating we each chose one where I continued my green theme of the night and love of pesto. It was the best and most interesting of the three and think there's a good future for a mixture of pesto and avocado in our apartment. Finally the pizzas. 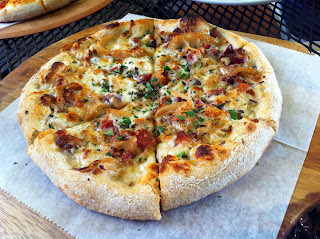 We ordered two: a pepperoni and the recommended Flamkuchen ($13) with béchamel, applewood smoked bacon, caramelized onions, caraway seeds and parmigiano reggiano. The pepperoni was somewhat ordinary. Well cooked but nothing more than what I would make from a frozen pizza at home. Again, I enjoyed the "organic" nature but I'm not convinced it translated into better taste (just better consciousness). The Flamkuchen was more interesting and unique. There's a little too much bacon for my liking but I know that's a crazy statement to most. I did enjoy the bechamel and caramelized onions, a tasty and addicting combination of flavors. The crust and dough on both pizzas were first rate so I understand where they got the restaurant name idea. The undisputed best course of the night was the last. 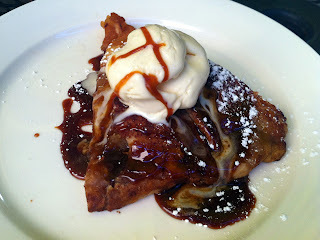 We had a sweet tooth and chose the caramel apple strudel and chocolate fudge brownie. The ice cream is from the local hot spot Black Dog Gelato and is always amazing. Neither desert lasted long and that wasn't because they melted. 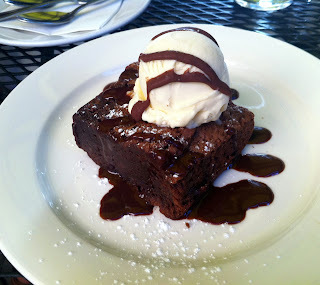 I preferred the chocolate brownie and vanilla gelato - a combination always delicious but executed well here. Crust does everything you'd expect from a neighborhood pizza (and more) spot and sporting a generous outdoor seating area. They probably thrive in the summer and survive in the winter. The food quality is top notch and the "organic" angle gives it a leg up for diners seeking social and health consciousness. Nothing from the meal was outside the range of average and normal, but that's not always a bad thing. 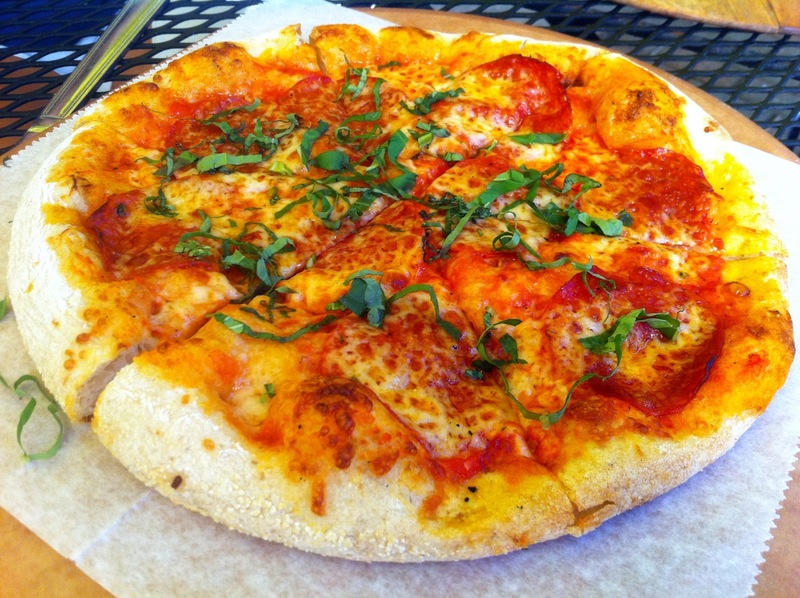 The pizzas are nice and fresh and a good alternative when deep dish is not the answer. I liked our salad a lot and there are plenty of choices for repeat customers. I'm sure we'll return on another nice evening to sit outside, have a beer and enjoy high quality produce and healthy alternatives (without forgetting dessert of course).